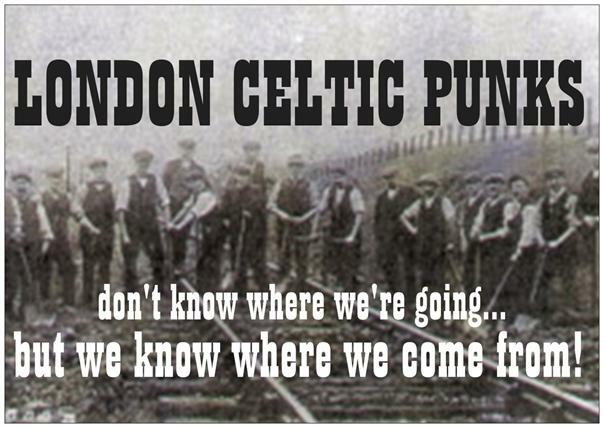 Alright straight of the bat I know what you’re thinking: I’m reading a site called ‘London Celtic Punks’ I don’t really think I need a starters guide to the Celtic Punk/Rock/Folk Punk scene. Well steady on for a second and hear me out: This isn’t for you. This for your mate who has shown a bit of interest or even a passing interest in this music. Maybe they’ve watched The Departed, or heard the Dropkick Murphys on a sports broadcast, or maybe they’re just looking for some kick arse tunes to play on Paddy’s Day. It can be tough trying to think of where to start introducing them to the genres, so many great bands to choose from after all, so here’s my recommendations to help you help your mates out. This is the song that got me into this genre, stomping beats, wailing pipes, lyrics that fire you up. Written for Bostonian boxer Micky Ward, it’s a fantastic tune for any mate of yours who’s looking for some music to play while at the gym. Even after all these years it’s still my favourite Murphy’s song, great mix of punk rock sensibilities and some fantastic piping by the bands former piper Scruffy Wallace. A great punk tune that is a great bridge track for those just getting into the genre. Fast and hard, this song wouldn’t be out of place in a mid-2000’s skateboarding video. Flatfoot 56 are an excellent starting point band for people new to the genre. Once you’ve played them this get them onto to tracks like ‘Black Thorn’, ‘Ollie Ollie’ and of course ‘Winter In Chicago’. Similar to Knuckles Up, just a flat out great punk tune, another skate punk style banger from one of the newer bands on the scene. The Kellys have a big future ahead of them and your mate will want to be on the ground floor for these guys. KILMAINE SAINTS – THE SAINTS ARE UP! Honestly, I could’ve picked any one of about a dozen songs from these guys, but I went with the opener from their fantastic debut album ‘The Good, The Plaid And The Ugly’. Similar to The Warriors Code in as much as it combines a great punk rock tune with some tremendous piping work. You and your mates will be belting out ‘raise a shot, raise a pint, put your arms around your mates, ‘coz we’re the noisy drunken bastards called the Kilmaine Saints!’ in no time. Regular readers of this site will know that the lads of London Celtic Punks love them some Australian bands and for good reason: we have some incredibly good bands down here. From bands like The Go Set, The Ramshackle Army, The Dead Maggies, Fox N Firkin, Medusas Wake and so many more Australia has an amazing scene that is going strong, even with The Rumjacks no longer calling Australia home. For mine though, Hades Way is one of the absolute top shelf songs by an Australian band. The Sydney lads from The Bottlers embrace all things Australiana and Hades Way is a cracking song. Of course if you’re going to introduce your mates to this music, then you’re going to have to throw in a few traditional songs that have been covered by modern artists. This track is one of my favourites, great vocals backed by some tight music make this a powerful version of a powerful song. Once you’ve introduced your mates to this then move onto songs like ‘Botany Bay’ by The Blaggards, ‘The Wearing Of The Green’ by the Kilmaine Saints, ‘Danny Boy’ by Happy Ol McWeasel and of course the Pogues and The Dubliners teaming up on ‘The Irish Rover’. Based in Sweden and with a majority Swedish band. Sir Reg are a good way to introduce your mates to the wider world outside of the main hotspots of North America, The UK & Ireland and Australia. Feck The Celtic Tiger is an amazing tune about the exodus of Irish nationals riding high on the so called Celtic Tiger boom of the 90’s/2000’s. Well paced and well played with a catchy chorus, it’s a great song to introduce people to the many non traditional scenes, from there you can bring bands like The Barley Hops from Indonesia (great scene in Indonesia btw), Raise My Kilt from Argentina, Selfish Murphy from Hungary and of course the many great bands from central and Eastern Europe. Anyone who listens to the Celtic Punkcast will know that The Tossers are my favourite band, so of course I’m going to include them on this list. Siobhan is such a great song and in my opinion no other band seams trad and punk together as well as The Tossers. Siobhan is a prime example of The Tossers at their absolute finest. If I was to list all my Tossers recommendations this article would become something challenging Tolstoy in length. Pick any Tossers song and you can’t go wrong really. If you’re introducing you mates to Celtic Punk, you have to give them a taste of the band that started it all. A bit like some of the other bands on this list, you could chose any number of their songs by these legends (ok, maybe not Fiesta). I’d go with Streams Of Whiskey over some of The Pogues mainstream hits such as ‘Fairytale Of New York’ or ‘Dirty Old Town’. A great singalong chorus surrounded by some of Shane McGowan’s finest lyrical work makes for a tremendous song. So there you go ladies and gents, 10 songs to get your mates to dip their toes into the waters of the Celtic Punk and it’s offshoots scene. Of course there were dozens of great bands I didn’t get to mention, the world of Celtic Punk and the number of bands out there continues to surprise me. But set your mates up with some of these and you’re off to a good start. Or if it’s easier, just point them in the direction of the Celtic Punkcast. We have teamed up with The Celtic Punkcast to bring you the best in Celtic-Punk, Celtic rock and folk punk from around the world. You can find the Podcast here and we recommend you head over there as soon as you get the chance and take a listen. Check out our interview with Gareth the ‘Podmaster’ here and find out what possessed him to join the #OneBigCelticPunkFamily. 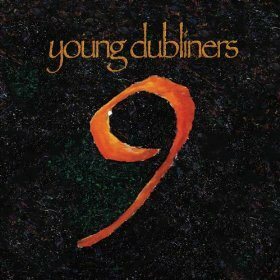 The Young Dubliners are one of thee most famous and popular celtic rock/punk bands in the United States and have been up there at the top of the tree for well over a decade right back to when they were formed in 1988 in Los Angeles. With a whole host of national television appearances behind them, hundreds of gigs every year across North America and Europe and songs featured in movies and TV shows too numerous to mention their can be no disputing their position to the fore of the celtic scene in the States. With eight amazing studio albums behind them plus a whole host of EPs, singles and the odd covers album it was time for them to release their ninth studio album rather imaginatively titled ‘Nine’!! After recording all their previous releases for various record companies the band took the decision to release ‘Nine’ themselves and set out to raise the funds. Within a few weeks the necessary had been raised and soon the album went into production. And well what can be said about it. I had exactly the same thoughts as i reviewed the latest album from fellow American celtic-rockers Seven Nations a few weeks ago (here). As a massive fan of the band could I be trusted to approach the record with a open mind and write a honest review without either gushing over it like a lovesick teenager or dismissing it out of hand as its not as good as they use to be. ‘Seeds Of Sorrow’, ‘Fall’, ‘One Touch’ are definitely among their best ever work. They can also do trad and ‘Abhainn Mor’ is as good a trad instrumental you’ll hear on any celtic record- punk, rock or just celtic. Slow or fast ‘Nine’ is an outstanding record and the album comes to a close with the beautiful ‘Only You And Me’ just voice and piano, stunning. As stated before their music is primarily Irish/Celtic rock but they are in no way one dimensional and influences of country, Americana, soul, old fashioned US folk and ,yes, punk abound throughout ‘Nine’ making it perfectly accessible to just about everyone. This beauty would I’m sure even get toes a-tapping on the Shankill!